Well, well, well, where do I start with reviewing this book?! What a refreshing read it was, so different from anything that I’ve read for a long while and (as I currently work in a school) so very obviously written by a teacher as the observations of daily school life were absolutely spot on! This is a short book, a novella, that can easily be read in an afternoon and is easy to dip in an out of as the chapters often signify a change of time or place. It is quite hard hitting as a couple of the chapters do refer to child abuse, which I wasn’t expecting. I guess this is by way of background for the future books in the series but for me it came a little from the left field as the book up until that point had been startlingly realistic yet quite light. Having said that, the subject was sensitively handled (in my opinion) and was suggested at rather than being horrifically graphic and it really is only touched upon in a couple of places, it isn’t the main focus of the book. Moving on from that as I don’t want to put anyone off reading it, just wanted to nod to the fact that it’s there, the realism with the books is absolutely brilliant. The observations of school life and childrens’ behaviour touches on being amusing and I’m pretty sure anyone who has worked in a school would absolutely love it! I have to offer a huge thank you to Nigel from Beaten Track Publishing for introducing me to this book and the Behind The Couch series and I look forward to reading book 2. Synopsis: A prequel to the Hiding Behind The Couch books. 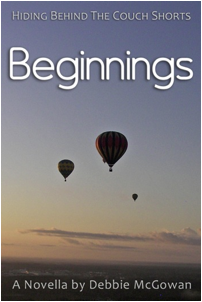 As the title suggests, this short story focuses on the early school days, long before the birth of the full ‘Circle’ – a series of sectors, if you will. Contains no real spoilers, so can be read independently of the rest of the series and in any order.